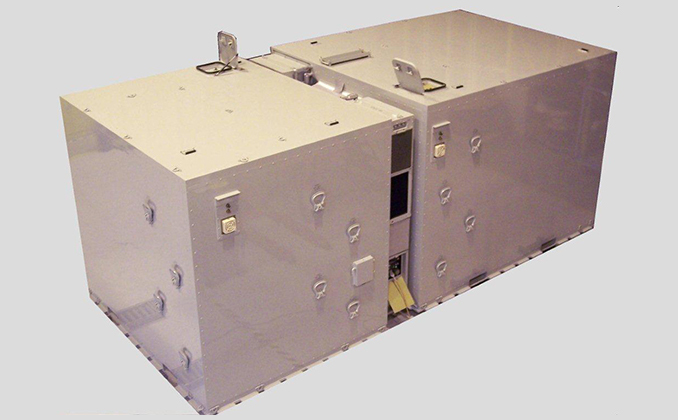 SelectTech airworthy roll-on/roll-off airborne enclosures meet standards for both military and commercial transport aircraft. We provide cost effective, safe, and secure solutions for VIP travel, particularly in austere environments. Each module can be tailored to meet client airworthiness requirements on the aircraft and operating environments of your choosing. 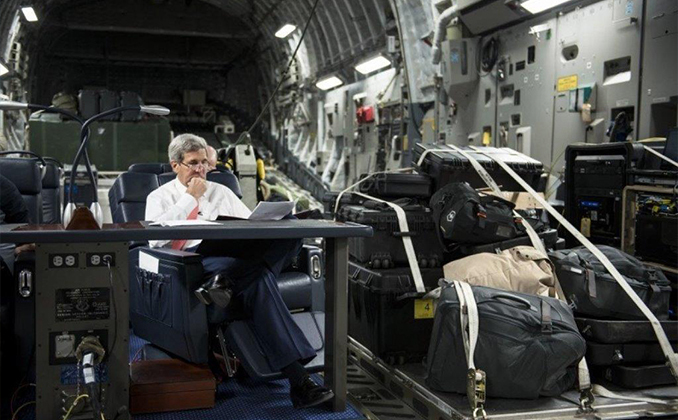 The SLIP is an open seat-pallet, enabling dignitaries the ability to travel in cargo-type aircraft in relative comfort with power for computers, printers, and chargers, comfortable seats and a large work table. 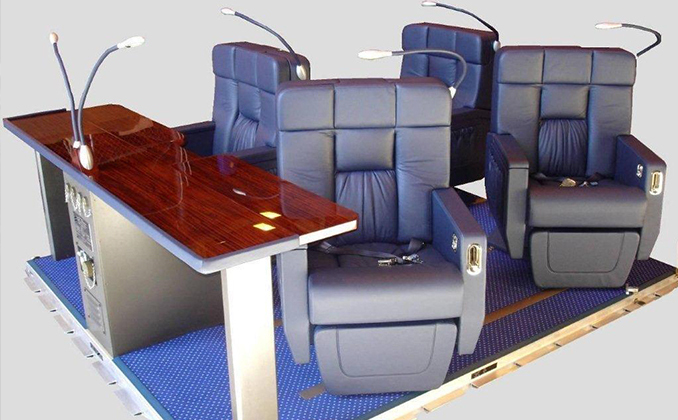 Each 4-chair SLIP can be connected to additional SLIPs using the same aircraft power connection. 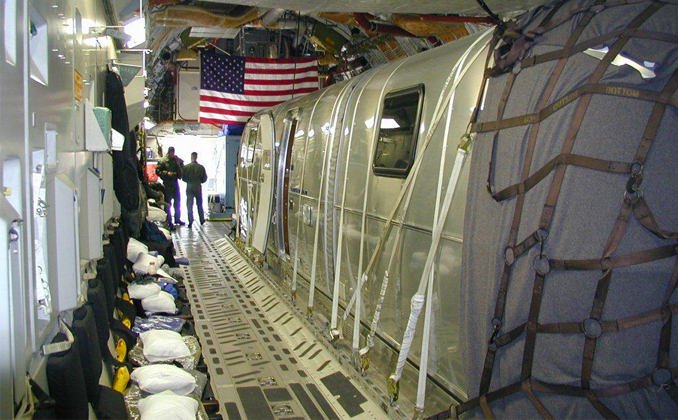 The SLIP is secured to the aircraft via the USAF Standard 463L Cargo System. The SLIP is currently certified for operations on C-17 and KC-10 aircraft, and can be hauled as cargo on KC-135R, C-130, and C-5 aircraft. The SLICC is a compartmentalized traveling suite designed specifically for dignitaries to work and rest while in transit. Its climate-controlled conference and sleeping modules can be used together or separately. 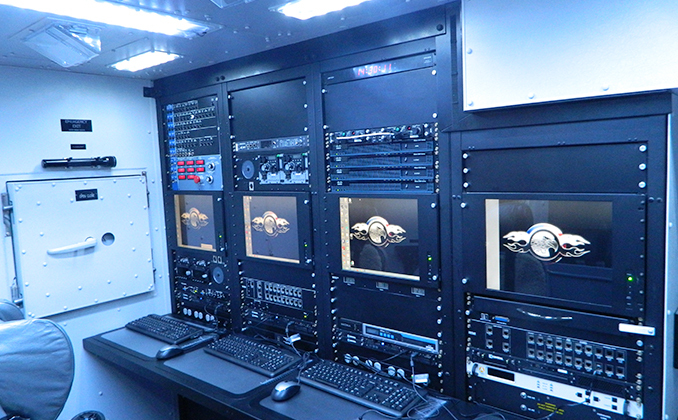 The conference module provides work area for two people with connections for computers into a wall-mounted screen and can be connected to a Viper communications terminal, which provides in-transit secure and non-secure voice, data, and video teleconferencing capability. The SLICC is secured to the aircraft via the USAF Standard 463L Cargo System. The SLICC is certified on medium to large cargo aircraft (C-17, C-130 and KC-10), and be hauled as cargo on the C-5 aircraft. 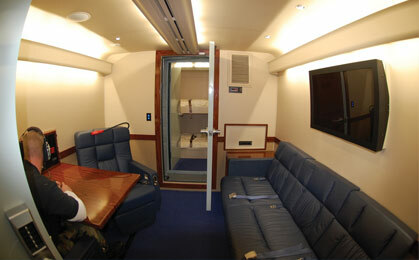 The Silver Bullet Command and Control Modules are carried on C-17 aircraft for long distance, unobtrusive VIP travel. Each system consists of three palletized Airstream trailer sections (heavily modified for use as VIP quarters) and an integrated equipment module (Steel Eagle) that provides secure communications equipment with operators needed to function as an airborne command post. The following diagrams illustrate typical installation configurations on three USAF aircraft.